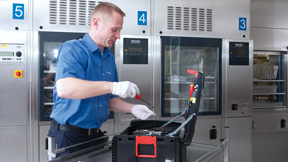 Miele Professional Service offers regular maintenance checks for your appliances, in order to guarantee you maximum operational safety. This means that potential faults can be identified and dealt with in advance. In addition, it also means that the operational parameters of the machines can be optimised on an ongoing basis. 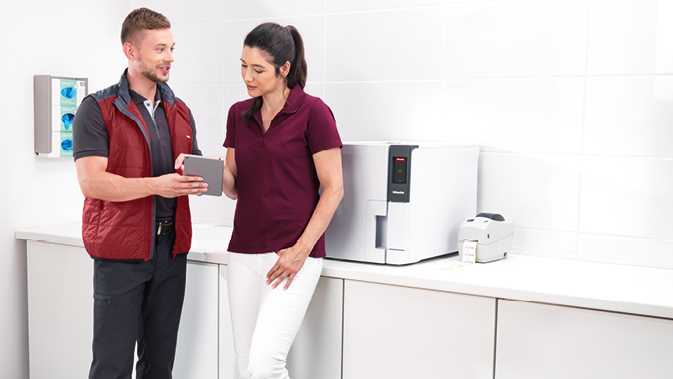 Even at delivery Miele Professional is there to support you with comprehensive service offerings. These are carefully carried out right from the start, taking into account the local conditions and any statutory provisions. It is only through the optimum configuration of the appliances to your individual needs and the local conditions that perfect results can be guaranteed. The electrical safety check is an important component during repairs, services or inspections, in order to ensure the safety of the appliance. The Miele service technician has the correctly calibrated measuring tool in order to be able to carry out meaningful measurements.